My hometown celebrates the Circus City Festival every year in July. There is an amateur circus that performs 11 shows in 10 days, and a street festival for 7 days. I grew up performing in the show and the circus is very close to my heart. All last week I was back in my hometown helping with the show. While my blogging hiatus to be at the circus was fun, I am happy to be back bringing you all of the latest news and insights into playgrounds. In keeping with the circus theme, we have several safari animal themed items. 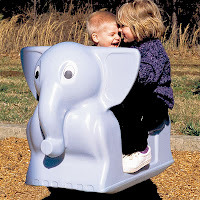 One of my favorites is Eli the Elephant Spring Rider. I absolutely love elephants! There is just something about them that I find wonderful and fascinating. This spring rider is sure to bring kids joy. I invite all of you to journey to Peru, Indiana next July to visit the circus festival. Not only can you see an amazing show put on by kids ages 7-21, but you can also see exotic animals such as tigers and cougars. 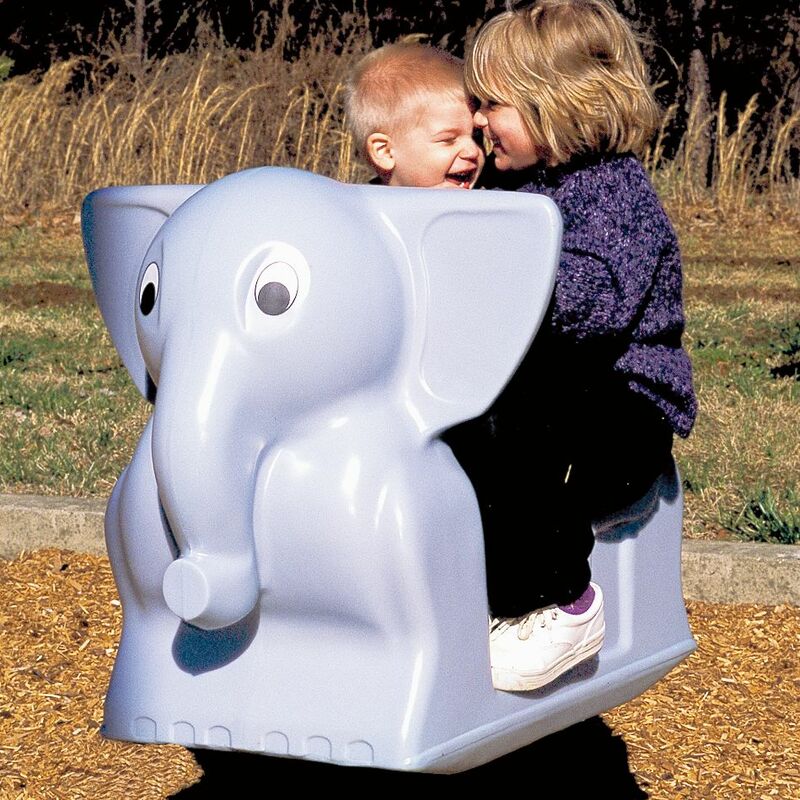 You can even take a ride on an elephant!